Mom, the Intern: Going back to Utah. This time, for a wedding. My own twin brother's wedding. I have mixed feelings about Utah. I love the mountains. I love the foliage, the flowers, the trees. I love the unique "mom and pop" restaurants and boutiques. The abounding creativity. The friendly people. The simplicity. I do not love the crappy freeways, the lack of proper zoning, the ditches alongside the sidewalks (what Utahns euphemistically refer to as "gutters"), the potholes, the scorching sun, and the eyesores which line the freeways. And there's something about Utah -- Provo, more accurately -- that stirs up a great deal of anxiety in my soul. 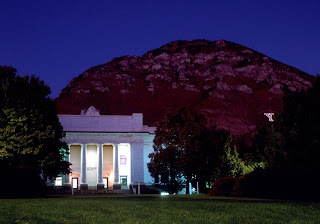 Perhaps it's the all-too-fresh memory of ascending the treacherous hill to the Grant Building to take tests I was never fully prepared for (except for that music fundamentals test on which I scored a 96%). Or maybe it's the recollection of reporting to the newsroom at 7 a.m., dressed to the nines, when all was dark and quiet and other students snoozed away. Or maybe, it's the thought of walking on slick, icy sidewalks with a frozen face, surrounded by vast whiteness and a cold so thick I couldn't breathe. Alas, BYU has its dark days for me. The darkest of which I like to call First Trimester From Hell. I don't know about you folks, but I tend to closely associate my memories with my senses. Which means, whenever I walk into the Cougareat, I feel an uncanny urge to throw up. Don't even ask me about the downstairs bathroom in the WILK (dry heaves). And when I hear the music of a gamelan? I hearken back to the hours in World Music Studies, when I could barely lift my head off the desk for fear of wretching all over the classroom and its occupants. My stomach churns. Keep in mind, I still had a job to do and classes to pass. All whilst my head was in a toilet. My time in Utah was one of the most challenging periods of my life. College is hard enough without the added stress of pregnancy and motherhood. Throw those buggers in the mix, and you'll find yourself on your knees begging for mercy more often than not. Granted, I willingly accepted the challenge. I chose that path of my own free will. But did I know what I was getting myself into? Never. I don't think anyone truly does. "What a tangled web we weave when first we practice to conceive." But I digress. Most of what I see and experience in The Beehive State conjures up awful memories of pain, nausea, exhaustion, and more pain. 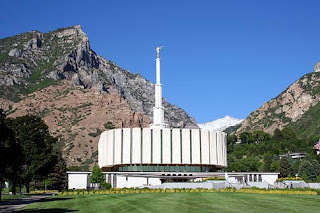 The Provo Temple, where my soul often journeyed for respite and serenity. While I will likely never live in Utah (mostly because I despise the snow), I cannot deny that it holds a special, unique place in my heart. The bad times, I'd like to forget. But part of me wonders if I'd appreciate where I am now if it had been easier. 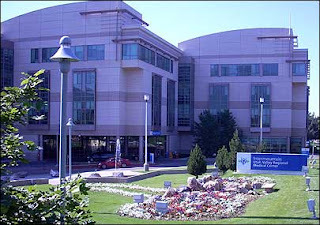 So off I go, to Salt Lake International, to partake of joyous wedding festivities and drink deeply of memories past. Hopefully, I won't throw up. I HATE the gutters there to, I have accidentally stepped into many in my BYU days. Oh the miserable memories! Now you can replace them with Josh's wedding! Yay! That was really interesting Jenna, because I honestly have the same exact kinds of feelings for Utah. Nostalgic and fond but at the same time kind of uncomfortable and bad memory-inducing. My bad memories are totally different but I get exactly what you're saying here. Luckily I'll say the weirdness fades over time, and your puky memories will become weaker and your fondness will probably increase. At least that's how it's been for me. But still I'm not exactly moving there anytime soon, either.